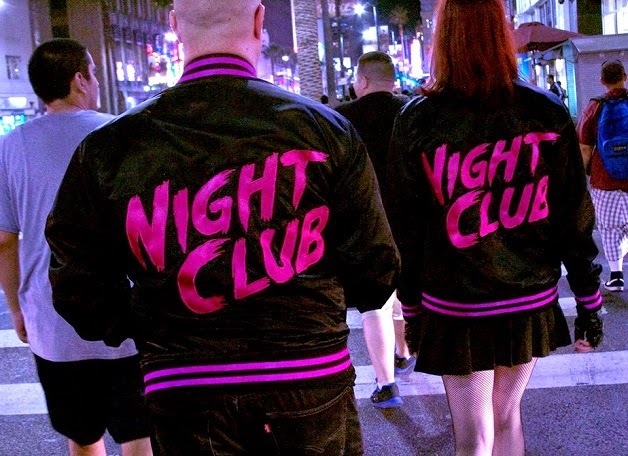 PREMIERE VIDEO: Night Club, "She Wants To Play With Fire"
Fresh on the heels of scoring Comedy Central's upcoming series Moonbeam City, Night Club is back with another track of '80s-synth-tinged awesomeness, "She Wants To Play With Fire." And we've got the premiere of the intense Tarantinoesque video! Pretty kickass, right? And if you're lucky enough to be in Los Angeles, Night Club will be giving their fans a free performance on 9:00 PM on September 3rd at the Melody Lounge to celebrate the release of their upcoming EP, Black Leather Heart.